SpywareBlaster doesn't scan for and clean spyware--it prevents it from being installed in the first place. 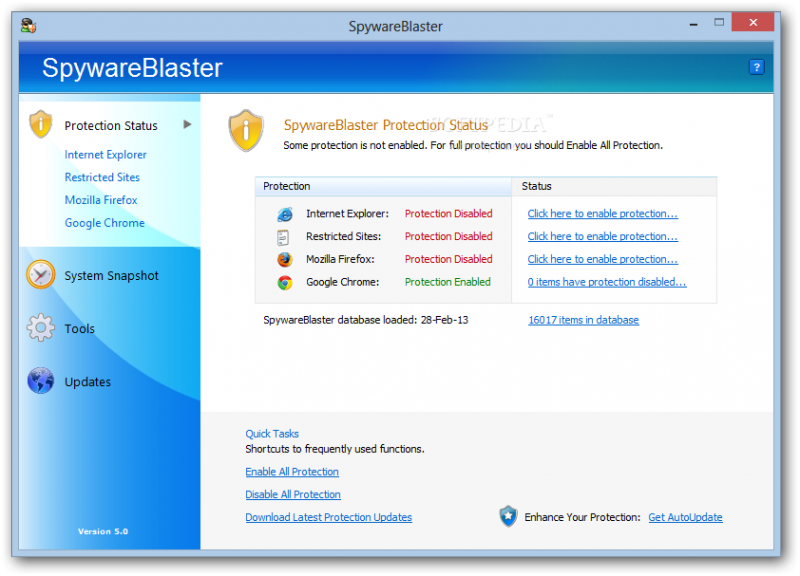 SpywareBlaster prevents the installation of ActiveX-based spyware, adware, dialers, browser hijackers, and other potentially unwanted programs. 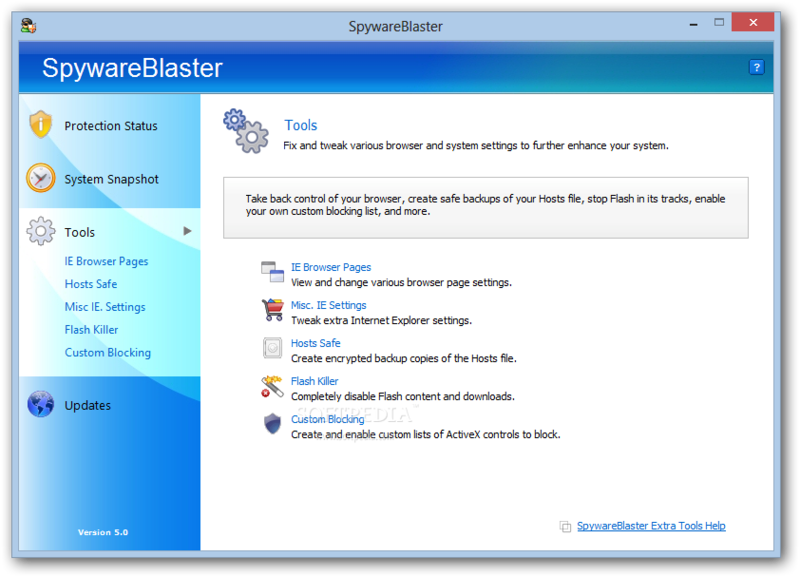 It can also block spyware/tracking cookies in IE, Mozilla Firefox, Netscape, and many other browsers, and restrict the actions of spyware/ad/tracking sites. With the built-in Check for Updates feature, you can help ensure your protection is up-to-date. 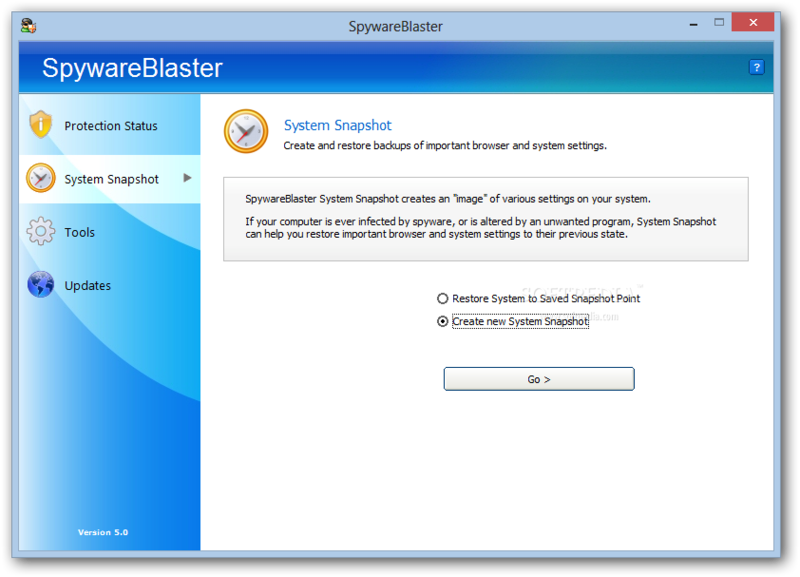 SpywareBlaster also includes a System Snapshot feature, which lets you take a snapshot of your computer in its clean state and later revert, undoing many changes made by spyware and browser hijackers.